An interview with James Robertson conducted on January 29 and 30, 2013 by Myron A. Farber for the Columbia Center for Oral History, Rule of Law Oral History Project. James Robertson was a judge for the U.S. District Court for the District of Columbia Judge between 1994 and 2010. Beginning in 2002, Judge Robertson served on the Foreign Intelligence Surveillance Court (FISA Court) before resigning four years later in protest of NSA warrantless surveillance. Judge Robertson ruled in the landmark case Hamdan v. Rumsfeld, which was ultimately decided by the Supreme Court in favor of Guantánamo Bay detainee Salim Hamdan. 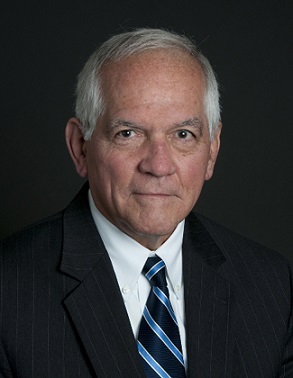 Highlights of this interview include discussions of the Guantánamo Bay Naval Base in the 1950s, Judge Robertson’s personal experience of the September 11, 2001 terrorist attacks, notable U.S. civil rights cases, the nomination proceedings of U.S. Supreme Court nominee Robert H. Bork, and the relationship between the Foreign Intelligence Surveillance Act (FISA) and the Department of Justice.